Super Plastronics Private Limited (SPPL), a Kodak brand licensee, today announced the launch of Kodak 4K 50UHDXSMART LED TV in India. 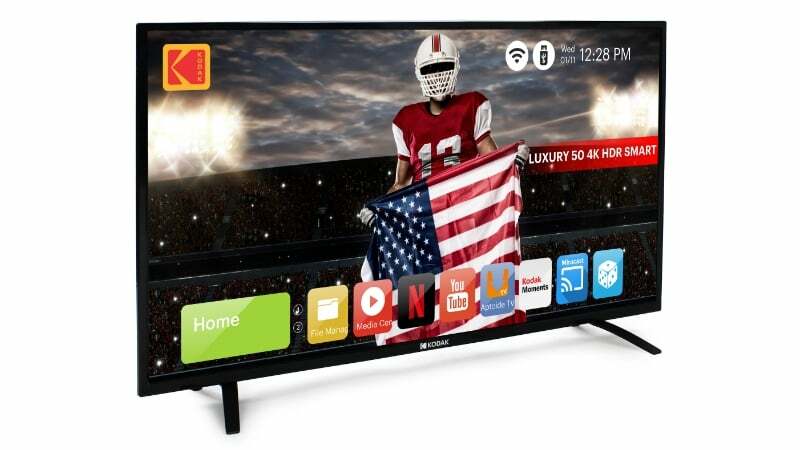 Priced at Rs 34,999, this TV will be available on e-commerce portal Flipkart and clearly, Kodak has put this TV against the Xiaomi Mi LED TV 4 and the Vu ActiVoice 4K TV launched recently. Packing a 50-inch 4K panel to the front, this TV from Kodak runs the dated Android 5.1.1 Lollipop, which is now more than a four-year-old operating system. And when compared to the competition, the new Kodak TV falls short as the Vu TVs are powered by Android Nougat. Talking about the specifications of this 4K TV, it comes with a 50-inch display on the front, which packs a resolution of 3840 x 2160 pixels. It will be available in a single Black colour option, of course, you should not expect TVs to be made available in various colours. The Kodak 4K 50UHDXSMART TV is powered by a dual-core 1.4GHz processor, which works in tandem with 1GB of RAM. Kodak also added 8GB of internal storage for installing applications or storing content. The TV will deliver exceptional sound with the help of two 10W speakers. It comes with various sound profiles such as Standard, USER, Music, Movie, Sports. Graphics in the TV will be taken care by the Mali-T720 GPU. 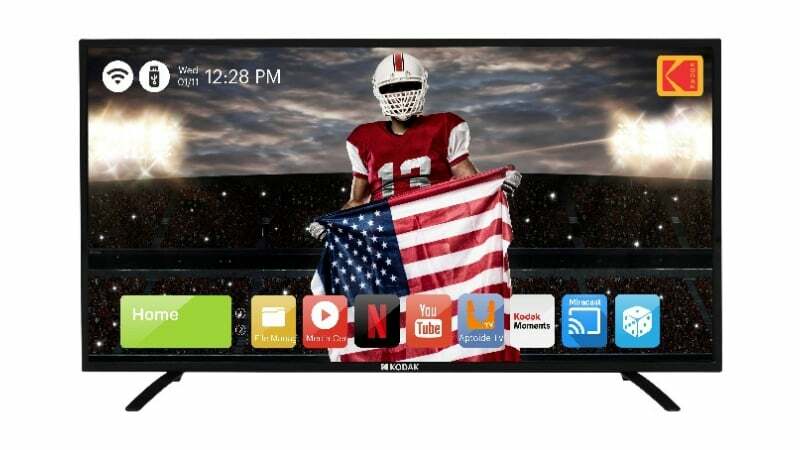 And lastly, connectivity options in this TV include LAN, Wi-Fi, Miracast, and comes with preloaded with apps such as Gmail, YouTube, Twitter, and Facebook. Kodak did not mention anything about the ports present on this TV though. But it’s expected to offer two USB ports and HDMI slot. This is not the first time Kodak is launching a 4K TV in the Indian market. Back in October 2017, Kodak launched a 50-inch 4K TV exclusively on Flipkart. However, before that Kodak launched an array of Full HD, Smart HD TVs in August 2016. Kodak, in the press statement, said that it had received an overwhelming response from the consumers for its 32-inch and 40-inch Full HD TVs, which were launched earlier. On the whole, this new Kodak 4K TV will compete with the likes of Xiaomi Mi TV 4 and Vu ActiVoice 43-inch model. The former is priced at Rs 39,999 while the latter costs Rs 36,999. However, getting hands on the Mi TV 4 is a tough job, thanks to the flash sales, but the Vu ActiVoice 43-inch model can be picked up on Flipkart starting tomorrow. It’s worth noting that the new Kodak 4K TV is already available for purchase on Flipkart. Wow! Android 5.1,what stopped them from launching it with Android 4.4(KitKat). They could have gone with 4.4 if possible. But it would have meant more work and development costs. I assume that the colors will be washed out and no HDR.